Many people adore babies. This is the main reason why many take time to get a personalized gift because actually, babies are a gift from God. So, during the pregnancy, you will find that even though the anxious parents start preparing to receive the child by buying the necessary basic requirements such as clothes, most mums go the extra step of searching for jewelries such as silver lockets, bangles, and fancy dress hats to give to their newborn babies as gifts. However, the process of getting the best baby jewelry may not be an easy task. For those of you who are looking forward to buy a baby jewel for a baby, the following simple tips will help you go about the searching process. 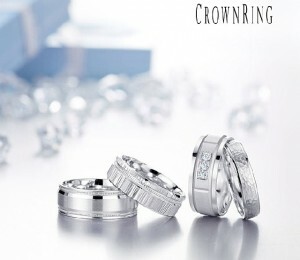 First and foremost, consider the age of the baby that you want to buy a jewel gift for. For infants, their skin is very delicate, so you should keep this in mind as you shop for a gift. Such jewels are made with high regard to the safety of the baby. 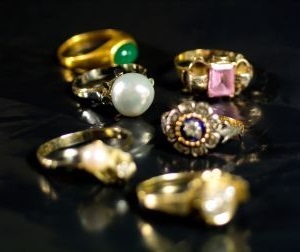 You will find that the metal that makes the jewel is hypo-allergic, there are no dangerous sharp edges, and the charms are securely fastened for maximum security level. You should be able to select the best and the safe gift for your baby considering the level of reaction of the metal to the skin, and the presence of any sharp edge which can be very dangerous to the child keeping in mind that babies are very active. For newborn babies, you can consider buying baby studs especially if the baby is a girl. Buying baby studs as gifts can be appreciated by many parents because many parents pierce the ears of their babies at an early age. There are a variety of baby studs on the market that you can choose from, such as gemstone studs, platinum studs, gold studs, and diamond studs. Check with your nearest jewel store for a variety of baby studs, but for a wider variety, it is good to check legitimate online jewel stores. So, if you buy baby studs gift for a baby, the parents will definitely appreciate your gesture of concern for many years to come. You can consider buying bracelets as baby jewel gift if you are not sure about the baby studs. Bracelets are very cute, especially with girls, and they match pretty well with fancy hats. Many parents love to see their babies with bracelets, so you cannot make a mistake by buying these gifts for a baby. Besides, in many different cultures, these bracelets usually have religious significance. However, the only drawback is the fact that as the baby grows, they usually outgrow the bracelets. However, this should not be a major concern because of the fast changes in fashion and style in todays jewel market. So, these simple tips will give you an idea of what jewel gift you should buy for a baby. 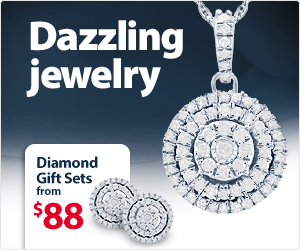 Visit your local jewel store for more information, especially on the price of the different jewels available.